Oregon Based videography and photography company. We do the best outdoor landscape work on the Oregon Coast. Cleanline Surf Shop in Seaside Oregon is the original shop on the North Oregon Coast. Featuring the largest selection of wetsuits, surfboards, kite boards, skateboards, clothing, and rentals on the Coast. We produced, filmed, and edited this shop tour for Cleanline. The Morrisey Productions crew will travel the State of Oregon and Washington to film the best and most scenic locations. 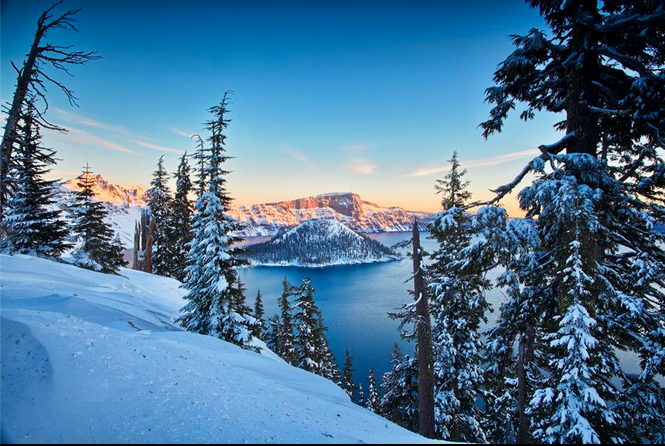 Our goal is to capture the magic of the Pacific Northwest in everything we do. Our gear of choice is the Cannon 5D and the Cannon 7D video cameras as well as a DJI Phantom Drone equipped with a Hero 4 Black 4k camera. We provide the best video production services in Oregon and beyond. We are also passionate about Landscape photography and spend a good portion of our time chasing light and trying to be in the right location at the right time. This usually involved waking up really early or staying out after sunset. So i'm sure your asking yourself, what can these guys do for my business? 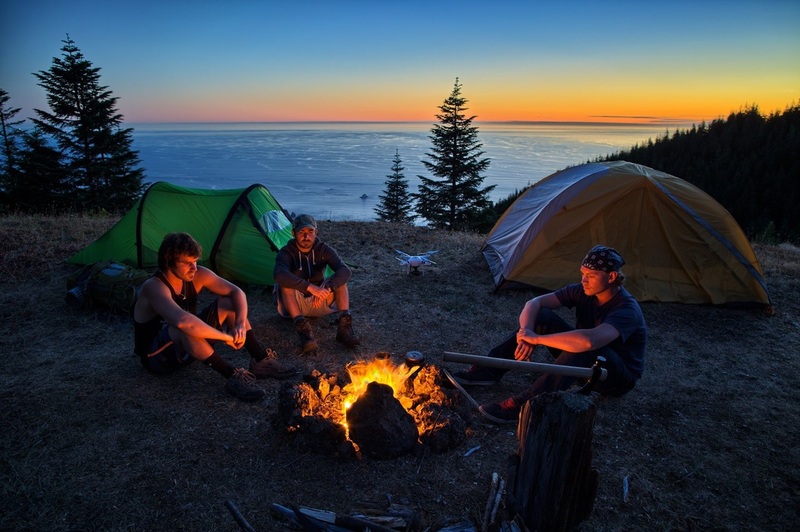 Our goal is to increase your brand exposure by placing your products like tents, clothing, tools, cameras, camping gear, backpacking gear, surf boards, SUP's, and anything else you want promoted in our legendary videos. Let's say you don't have a product, but instead have a business or company. Well we can help you too by creating a unique and entertaining video that your customers will actually enjoy watching. That's right a short media production that will inform your customers but also create brand awareness for your business, brand, or company. Get a free no-obligation quote by contacting us on our contact page! This video was entered into the 2015 Oregon Coast Film Festival in Bandon Oregon. Filmed at various locations in the Coast Range Mountains with a DJI Phantom Drone. In this piece we attempted to capture the scenic beauty of the Pacific Northwest while telling a story of a backpacking adventure. The filming locations will remain a secret, but those who have ventured into these areas will recognize them. The difficult part about filming this video was the fact that all shots were filmed either 30 minutes after sunrise or 30 minutes before sunset. This meant we had to move down the mountain late or night or early morning. Also, since time was limited we only had one or two takes to get the shot right. There were other peaks we visited that ended up on the cutting room floor because we felt the footage wasn't good enough for the video due to poor drone flying or lighting. Overall, we have received tons of positive feedback from the video and it was definitely one of the funnest projects I have had the pleasure to work on. 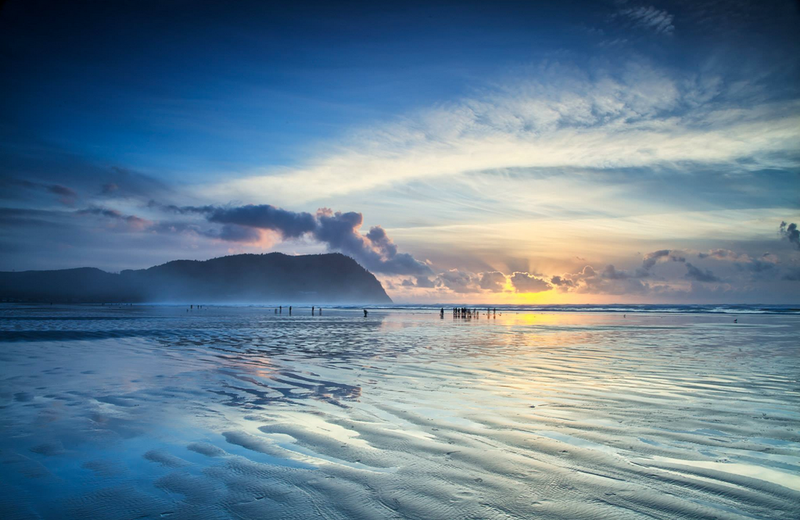 In this video we wanted to capture the amazing scenic beauty of the Oregon Coast. The great thing about aerial videography is it gives the viewer a unique perspective they haven't seen before. The filming locations in this video are Haystack Rock in Cannon Beach, Ecola State Park aka Indian Beach, and Seaside Oregon. Most of these amazing clips were filmed more than a year ago, but we were busy working on other projects and never had the chance to get them edited into a video. 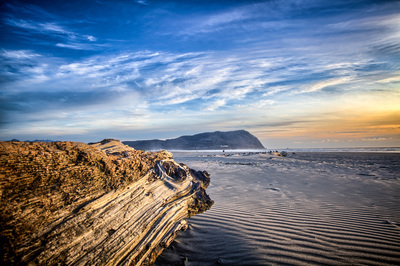 My favorite scene is the footage of Haystack Rock. 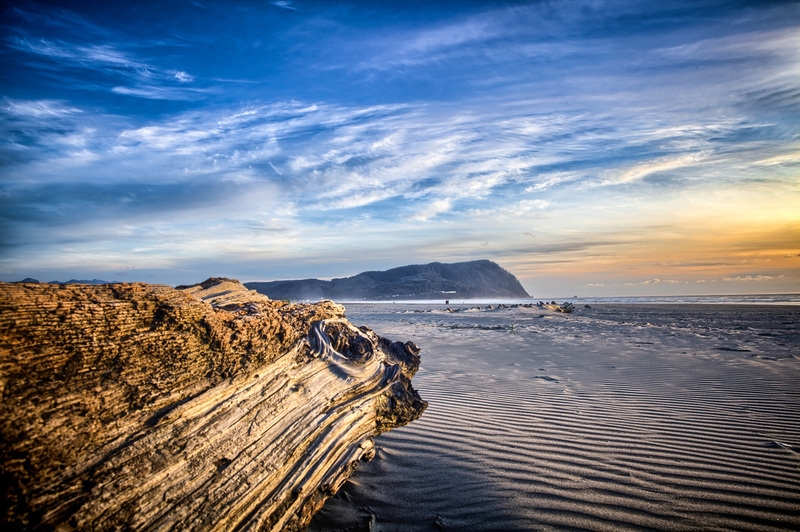 This unique rock formation is the most photographed location on the Oregon Coast. Our goal was to give viewers a unique perspective of the 235 foot sea stack that hadn't been seen before. Morrisey Productions specializes in broadcast-quality videos that will both entertain and engage your customers. Our production style is to entertain the viewer in everything we make. In fact, our philosophy is that the advertising comes secondary in all that we do. In the era of mass marketing a little bit of advertising goes a long way with a viewer. In order to capture the attention of the audience, we prefer to engage them with a "cinema style" type production that tells a story. Our preferred video length is 1-5 minutes which is just enough to get the message across, but not too long to loose the viewer. While watching our videos most people will have an intense feeling of positive emotion, which is the perfect time to insert your brand or image. At a sub-conscious level, this will connect those feelings of euphoria they are feeling from watching the video, into positive feelings for your product, brand, or service. In the end, it comes down to new product sales and customers. It's critical that customers don't perceive that you are being pushy or forcing your advertisements at them. Instead, we create videos that your customers will willingly share on their Facebook and other social media platforms. To celebrate the open of our new video production Portland location, we are offering a no-obligation video production quote to anyone who contacts us on our website. 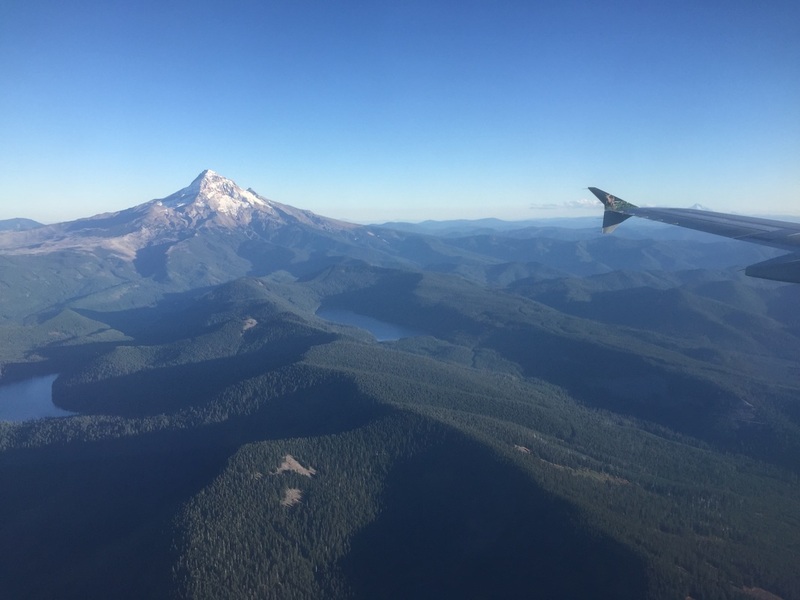 Exploring Oregon 1.0 takes you on an epic journey through the State of Oregon. Filmed and produced in the summer of 2016, the Morrisey Productions crew traveled to the most scenic locations our region has to offer. The video includes Oreogn classics like Samual Boardman State Park, Haystack Rock, Mt Hood, Painted Hills, and more. Morrisey Productions is officially a FAA Certified Commercial drone company. Over the years we have built a reputation as one of the top aerial videography companies in the State. Our aerial videos have been featured by OPB, local film festivals, and news channels. If your interested in our http://www.morrisey.com/portland-oregon-drone-services-video-photography/ then contact us at our website. We provide our services to Hillsboro, Gresham, Lake Oswego, Beaverton, and the entire Pacific Northwest. Our productions are perfect for real estate, golf courses, inspections, companies, timber companies, and farms.